Econet Media, the pay TV subsidiary owned by the telecoms company Econet Wireless has signed a multi-year content deal with the United States’ National Basketball Association (NBA). Under this partnership, the NBA will show live games and other NBA programs on Econet’s pay TV service Kwesé TV as well as on the Internet and its mobile platforms. As such Econet becomes the NBA’s sub-Saharan Africa official broadcaster. It will be able to offer viewers over 500 games which will also include the WNBA games, the NBA playoffs, and the finals. The arrangement between the NBA and Econet also marks the end of NBA’s relationship with its current broadcast partner SuperSport which is part of Naspers’ MultiChoice. The contract between Supersport and the NBA is set to expire at the end of the current NBA season. According to ESPN, Amadou Gallo Fall who is the NBA vice president and managing director for Africa has called the deal with Econet the largest partnership in the history of NBA in Africa. Fall has also expressed the NBA ‘s desire to tap into the opportunity presented by mobile device access while Adam Silver the NBA’s commisioner has called Econet the ideal partner for their plans to extend their reach across Africa. With DStv often cited as being an expensive pay TV option, the NBA’s partnership with Supersport meant that it could only deliver its content to a limited demographic across Africa. The deal with a broadcaster like Econet targeting mobile TV opens this content up to a wider potential market, something that ties in with its growth prospects in an untapped market. For Econet Media, this is a significant win. Securing content for the NBA adds more clout to its Kwesé TV service which is set for an official launch before August 2016 and adds another shade of content diversity while helping shape it as a leader in sports entertainment. So far the service has also secured rights to broadcast the hugely popular English Premier League. 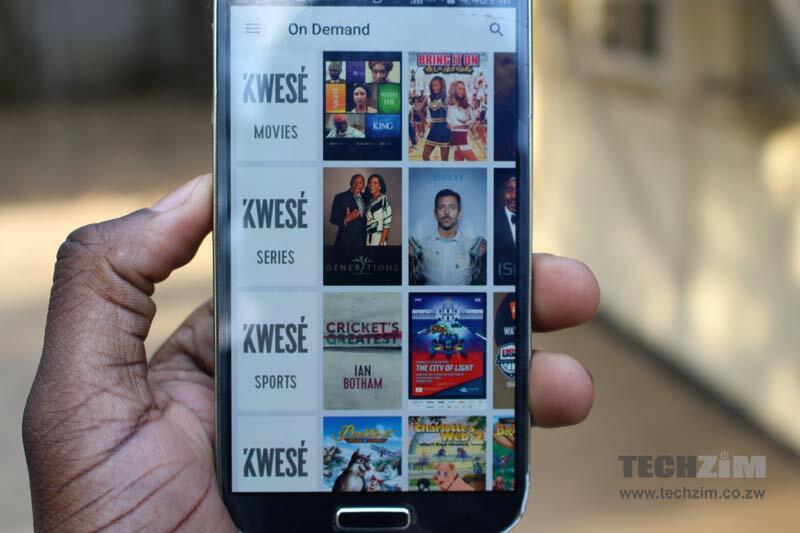 Though this deal wasn’t exclusive as is the case with the NBA, it has helped position Kwesé TV as a provider of content that can rival the MultiChoice monopoly. Econet Media and every other player interested in making a splash in the African Pay TV space has been in the race to secure various forms of content something which has been one of the determinants of success, especially in the face of well-funded competition like MultiChoice. If Econet continues to lock deals with different content providers by either waving its cheque book or riding on its value proposition of mobile access across Sub-Saharan access it just might give MultiChoice a run for its money. Bravo Econet! This is good news. Nba & other sports was the reason I was still with dstv. Happy to ditch the arrogant suckers next season. Way to go Econet! The taste of econet’s deals will be in its service delivery. Internet speeds r just too slow at the moment. If econet rushes into these deals with poor broadband speeds, people will walk away and do with expensive multichoice. The first impression will matter a lot. Bye bye NBA. The last time many of us will watch basketball on TV. Looks like Strive has talked himself into biting off what he can’t chew, yet again. wen does this Kwese thing roll , tired of hearing what it will do . Kwese sport has a target market of the elite. In Zim how many of you are on ZOL broadband.? Telone is doing affordable broadband right now, it is more reliable than it was before. Maybe unless if you live in areas where Telone have no telephone lines. Experience teaches us not to trust ECOZHET that much. vane simba rakawandira mumuromo kunge pinjisi. nhayi va opolopo….nhau yenyi haina mvura. youll be surprised how many people watch nba. Econet sold a dummy here. Obviously Naspers more than 100 times bigger than Econet can not just relinquish a profit making deal.What’s so special about Econet kuti ipiwe dhiri.Naspers knows that Econet guys love self gratification, They pretend to be losing while ditching loss making programs. I don’t know where they get their foolish management, Seriously who watches NBA in Zim. I wish they could employ startupers like us who know the terrain. They should find a niche like soaps and dramas.Most men in Zim will tell you it’s difficult to watch soccer between 6 and 8 because wifies will be watching soaps and dramas from Southampton Africa.Why not focus on women. This is just an example.